What are the responsibilities and salary of Chief Information Officers? How much do CIOs get paid in Southeast Asia? Who does the CIO work with? What skills do you need to be a successful CIO? What’s it like being a CIO in Southeast Asia? Within the C-Suite Executive team, the role of the Chief Information Officer is stalwart. On the surface, the CIO takes responsibility for all the IT and technology within an organisation however, as the business landscape has evolved over the years, so has the role of the CIO, making it a job title which is increasingly difficult to define. While remaining focused on technology is still a necessity of the job, CIOs are now being challenged to use IT strategies and solutions to drive business innovation and transformation. The introduction of cloud computing has produced a whole new ecosystem that needs to be taken into consideration whilst the growing emphasis on analytics means data must now be thought about more carefully. Ultimately, this means that the modern CIO is taking on a more strategic business role than that of their technologically-driven predecessors. This move beyond a focus on traditional IT is a trend that has been mimicked throughout Asia. However, research by Gartner has shown that CIOs in the region are experiencing the transitioning of their role at a slower rate than their global counterparts; with many claiming they lack the authority to deliver significant change outside their remit of IT. The salary of a CIO varies from country to country across the ASEAN region and can change depending on industry and years of experience. Below is a guide to the average per annum earnings of CIOs in 7 countries where data was available. There is often an assumption within businesses that the C-Suite Executive team should all report to the CEO but, this isn’t always the case. While the majority of CIOs do report directly to the CEO of their company, some report to the CFO (Chief Financial Officer) in order to make sure sprawling IT budgets are defined, met and understood. A smaller number report to the COO (Chief Operating Officer). However, the relationship between the CIO and the CEO can prove vital to the running of a company. The impact of technology should not be underestimated, especially as organisations start to realise the benefits of taking a digital-first approach to business. Therefore, if a CIO and CEO can communicate well and work together collaboratively, it can help to ensure that digital strategies are implemented smoothly, and best practices are scaled throughout the organisation. As the role of the CIO covers such a wide-ranging set of responsibilities, the range of skills needed to be successful in the job are equally far-reaching. Good management and interpersonal skills are absolutely vital for setting and implementing a company-wide strategy. A CIO who can’t communicate effectively with both their team and fellow C-Suite Executives or board members will not be successful in the role. Problem solving, creativity and innovation are all necessary qualities organisations look for when hiring a modern CIO. Unsurprisingly, as the responsibilities of the CIO move away from being purely technical, there has been an increase of CIOs joining companies form less-traditional backgrounds. However, in Asia where the role of the CIO is somewhat narrower, 62% of CIOs have a degree in Information Technology, Computer Science or a related field. Furthermore, 78% of CIOs from the region report that they have only ever worked in IT. Fundamentally, an effective CIO is one that is able to balance the technical and strategic skills necessary to fulfil all the responsibilities of the job. The modern CIO has more influence over the running of the company than ever before, with technology now acting as the key driving force behind business success. Although the role of the CIO continues to be one of the most sought after within a company, today’s Chief Information Officers are often faced with significant job pressures owing to the increase in responsibilities that have emerged as the role has continued to evolve. 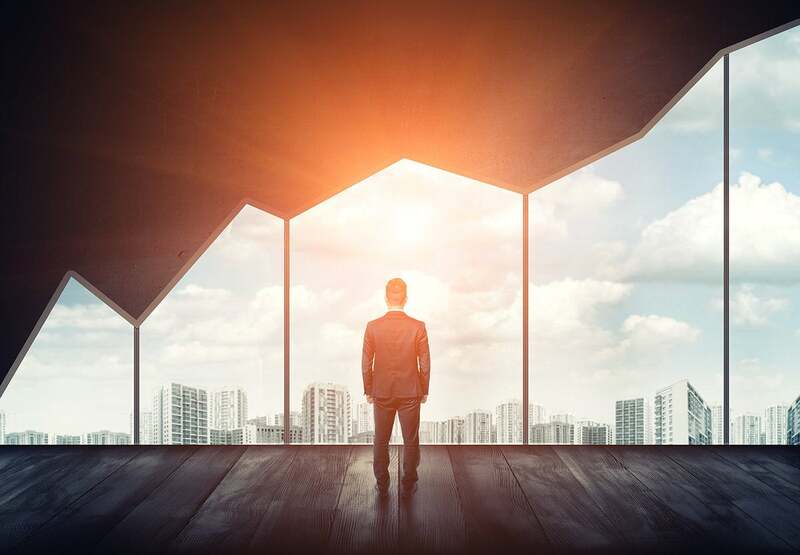 However, despite the high-pressure work environment, most CIOs consider it a privilege to occupy the position within their company’s C-suite executive team. Here at CIO ASEAN, we’ve conducted a number of interviews with high profile CIOs that work throughout Southeast Asia. This is what some of them had to say about the role of the CIO and impact technology will have on the future of the enterprise. “I work long hours, I put in the time and effort to groom my staff, and then I make sure that we actually deliver on the work that needs to get done…But it comes with sacrifices and it needs a strong partnership between you and your spouse/partner. It cannot be done by yourself to be successful. In my opinion, it's not women or men only: it's both.” – Shirin Hamid, Chief Information Officer at the Asian Development Bank (ADB). “CIOs have a key role to help realise the [government’s] digital ambition and uplift the digital capabilities of public service officers, and to facilitate more data-driven policies…IT can no longer be an afterthought or add-on that is grafted onto the organisation. It must be intrinsically part of what the organisations do, even if their main mission is something different but has to use IT to succeed.” – Yeo Beng Huay, Chief Information Officer at Singapore Customs. “The greatest obstacle is not always about the technology but the people’s skills, how can you turn your people into something new. Some people like to stay in their comfort zone because they feel they are already good at that. But we are talking about artificial intelligence, machine learning, new languages, new programming, automated tools, cloud… and they are uncomfortable. We have to accept the risk of failure.” – Voranuch Dejakaisaya, Chief Information and Operations Officer of the Bank of Ayudhya (Krungsri). “As customers are looking for more digital solutions, and the competition landscape changes with technology companies entering the banking market, regional CIOs have to drive innovation, creativity, customer centricity in their team to anticipate customer needs much more than in the past where they were service providers.” – Peter Clark, Regional Chief Information Officer of China and North Asia at Standard Chartered.